Every homeless student who receives a new backpack can walk into class with the same new tools and good supplies as their classmates, and not feel unprepared or embarrassed. 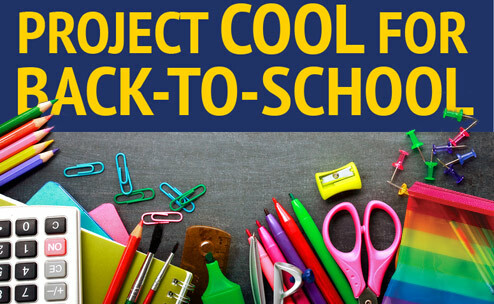 Project Cool helps hundreds of homeless schoolchildren each year. We give each child a sturdy new backpack filled with quality school supplies, books, toothbrushes, and more. We train school staff and social workers about supporting homeless students. purchasing supplies off of the Wish List! or CONTACT US for pick up. Make a tax-deductible contribution on-line or mail a check to: “Project Cool/SKCCH” at 77 S. Washington St., Seattle, WA 98104.